Admittedly I’ve not had the greatest luck with goodies from the cellar lately, with more misses than hits. Maybe I’m cursed. Regardless, today I’m kicking off a little series of posts featuring wines from my own cellar (or friends cellars). Wines that I would want to cellar (or someone else would want too). What’s always interesting to me about aged wines like these is the little value surprises. Like mega dollar reds that fail to live up to expectations. Or budget drinks that far outshine their price point, both of which prove that the relationship between price and quality is definitely not linear. 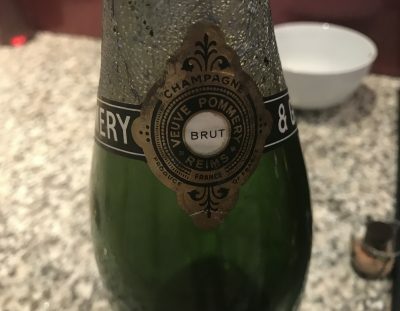 For a first dip out of the cellar then, let it be a bottle of Pommery NV from the 60s. 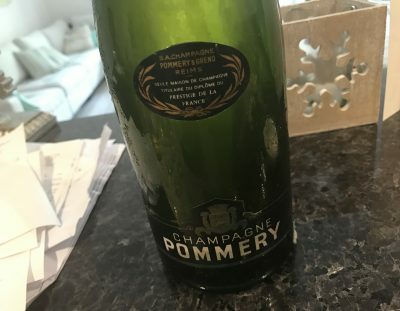 I can’t tell you much about what was in the bottle, but this was bought by my partner’s family while in Burgundy late 2016 (so not from my cellar). From what I can gather the bottle comes from midway through the 60s and has been kept in a quality, cool French cellar. In many ways this is a joy purely for the curio factor. But it’s more than that. The levels looked good, though hard to tell with Champagne. Golden yellow in colour, it smells old (no surprises). That means a madeirised and heavily developed nose of golden toast, honey, aldehyde and tangerine. 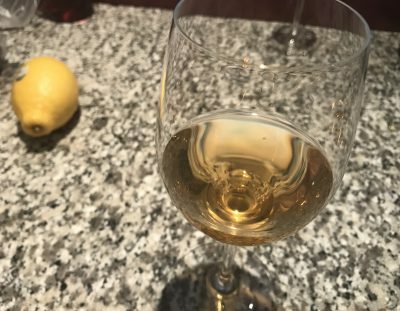 You always find yourself looking for fruit in old wines like this, and its something of a fight with the aldehyde and development. Still, there’s plenty of orange honey flavour and the palate itself is still holding together. There’s acidity and a remnant leesy richness that convinces you to have another glass. Again, something of a curio, but no questioning that this is still drinkable. A NV Champagne, still kicking on 50+ years later? Incredible. Almost none. One spritz when first opened, but otherwise none. Great idea for a series of posts and looking forward to the coming selections. How did the lack of fizz affect the taste? I recently tasted a sparkly shiraz that the same happened and while I could appreciate the flavours it just didn’t seem right. A couple of questions, and if you intend to cover them off in coming posts happy to wait for the information. What is your cellaring set up? What are you looking for in a wine when you decide to cellar it or not? On the topic of cellaring good value for money wines, how do you rate Mike Press wines? Stelzer gives the 15 cab sav 94 pts and to drink from 2022 – 2030 and Hooke gives is 88 and to drink from 2017 – 2025. Starting from the bottom, I’m not a huge fan of the Mike Press wines. They’re fine for $15/bottle (reds particularly so), but I struggle to see how they justify the lofty scores. Pleasant wines, no more. What I will do is write a post about my cellar situation at home. It’s so worth a stand alone post! Finally, the lack of bubbles didn’t really detract. It was more old wine than anything else, and I probably just viewed it through that lens. Enjoyable as much as a curio rather than a proper fizz. Great idea … look forward to the wine reviews. Am doing similar re getting wines out of the cellar [but no 1960s wines! .. more from the 2000s that are 10+ years old]. I do enjoy a dip back into the cellar. Serves as some kind of recalibration, or a re-baselining. Helps me focus: why am I so into wine that I seek to pontificate about it? What was I thinking n years ago when I cellared this? Where was I at? Where was Australian wine at? I know! As much for the memories as anything else. Great.